I grew up in a tiny Nebraska town, and our public library was my refuge. I still remember books I read and reread there. At the time, it never occurred to me that someday I could write books. In fact, it took me several decades to confront my desire to write full-time. I kept waiting for someone to tell me to do it—to give me permission. I finally had to give myself permission, and it was the hardest and the easiest thing I’ve ever done.While I love fiction, I am happy at present writing historical nonfiction. I might have majored in history and devoted my teaching career to it except for one major problem: I so often found it boring. Wars and treaties and successions of kings and presidents didn’t interest me nearly as much as the people behind the facts. I loved historical literature, like War and Peace, which taught me the facts but did so almost surreptitiously because I was so engrossed in the lives of the characters. I have tried to pattern my writing for children in the same way.Andrea Warren was born October 30, 1946, in Norfolk, Nebraska. 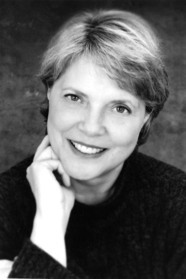 She received her bachelors of science degree from the University of Nebraska in 1968, and a master’s in English from the same university in 1971. Ms. Warren also received a master’s in journalism from the University of Kansas in 1983. She has written numerous books for young readers, including Surviving Hitler: A Boy in the Nazi Death Camps, which was named a 2002 Robert F. Sibert Honor Book.